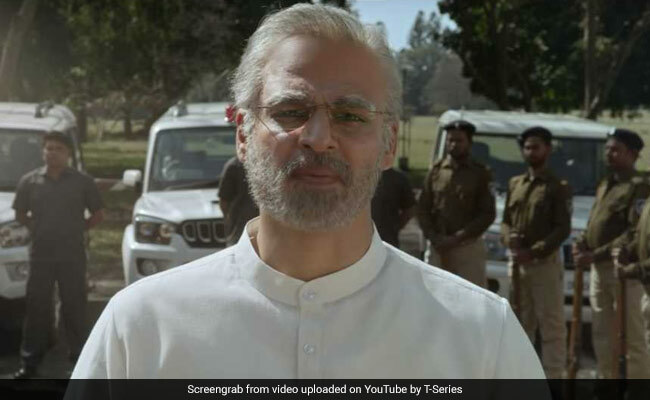 The trailer showcases the trajectory of Modi's life, from his formative years with the RSS (Rashtriya Swayamsevak Sangh) to his Chief-ministership in Gujarat and, eventually, to becoming the country's Prime Minister in 2014. "PM Narendra Modi" has been helmed by Omung Kumar and also stars Boman Irani, Manoj Joshi, Prashant Narayanan, Barkha Bisht, Rajendra Gupta, Zarina Wahab and several others. The makers unveiled the first look and poster of the film in January in 23 languages. He was seen at the trailer launch in the get-up of PM Modi. It is an emotional moment for me, I am very happy and overwhelmed with the fact that the trailer has released today. The film's cast also includes Boman Irani and Manoj Joshi. Talking about his journey through the film, Vivek Oberoi said, "This film has been the most exciting yet hard journey for me". Vivek Oberoi's Film on Indian Prime Minister Is Bound to Divide Viewers - Watch Video. Vivek Oberoi in a still from the trailer. Vivek Anand Oberoi finally launched the much-awaited trailer of PM Narendra Modi, where he plays the titular role. Well, the film's trailer hasn't received a positive response over Twitter and only time will tell if the film's pushing propaganda or re-telling a true story of the Prime Minister. Undoubtedly, fans and followers of Prime Minister Modi are definitely going to like the trailer and it wouldn't be wrong to say that they are in for some surprises when they watch the movie in theatres on April 5.